1. 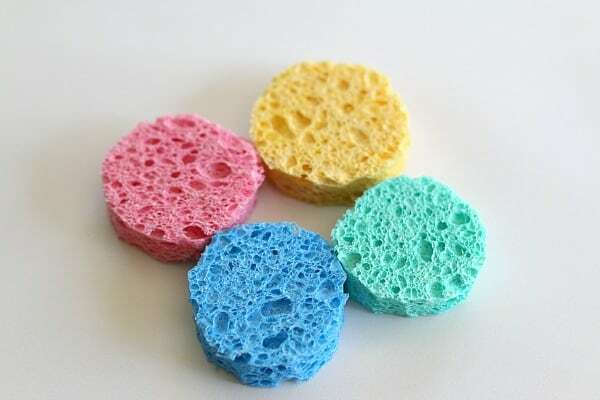 Cut circles out of your sponges to use for painting. My circles were about 2 inches in diameter. 2. 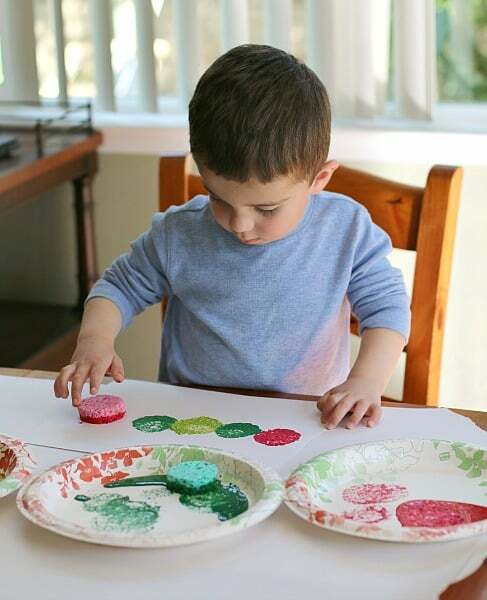 Squeeze tempera paints onto a paper plate or other surface that’s easily accessible to little hands. We used red, green, and a yellow-green. 3. 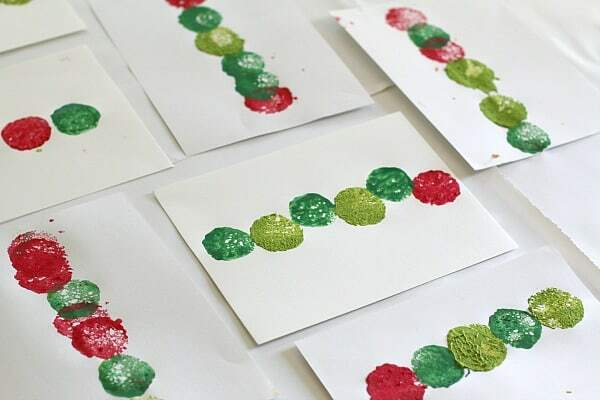 Dip the circle-shaped sponges into the paint and stamp them onto your paper to create a caterpillar. 4. 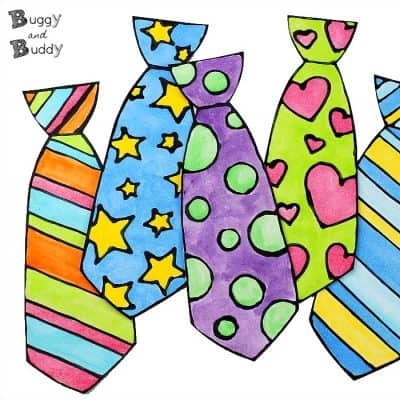 Use a black marker or crayon to draw legs. 5. 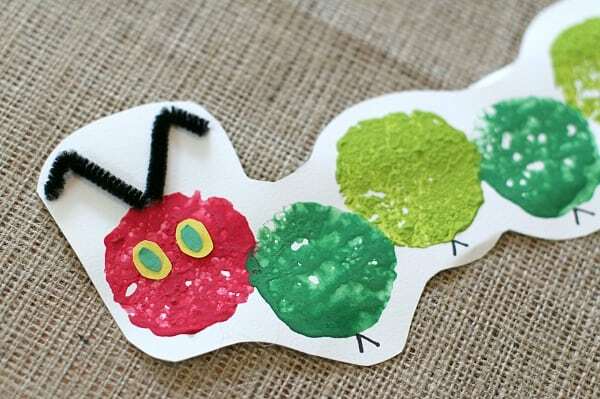 Cut off small pieces of black pipe cleaner and glue onto your caterpillar for antennae. 6. 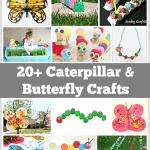 Add some eyes to your caterpillar. 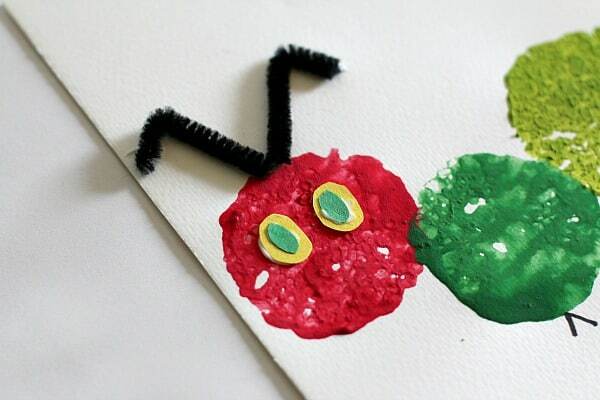 We cut our eyes from scraps of construction paper, but you could also use googly eyes. 7. 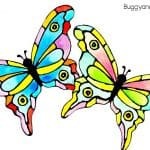 Let your caterpillar craft dry completely. You can display it as is, or cut it out to display! 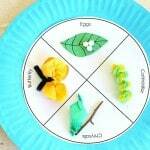 This spring craft can be adapted for a wide variety of ages. 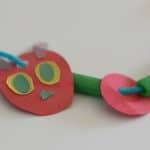 Here’s an example of the caterpillar craft created by my six year old daughter. She did it all on her own. 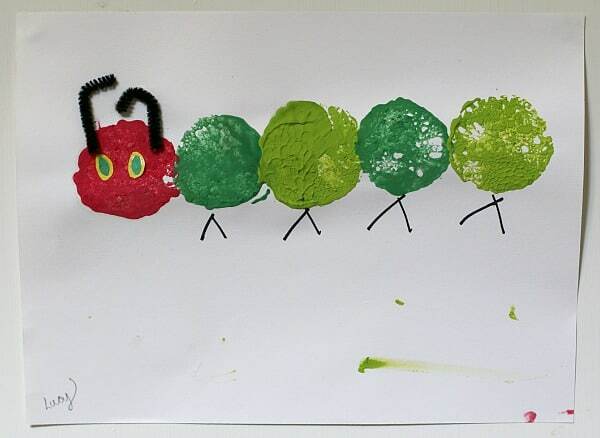 My almost three year old son made this caterpillar. He had watched me create mine and had my sample nearby to guide him. I’d tell him one step at a time, and he would do the tasks on his own. 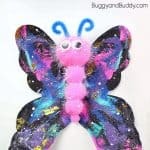 I had the little eyes pre-glued together for him so all he had to do with the eyes was glue them on the caterpillar’s head. 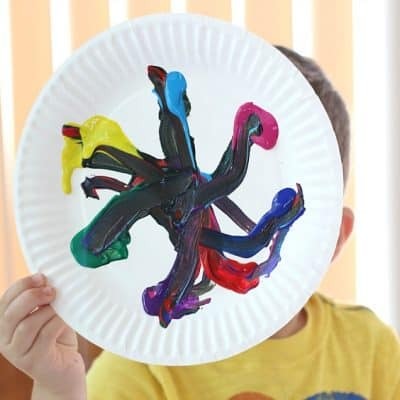 My son LOVED sponge painting! He kept asking for more and more pieces of paper to paint! Our whole table was full of caterpillars! 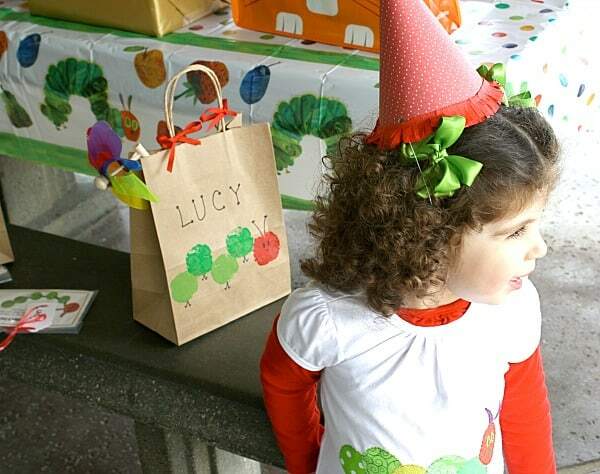 Like I mentioned earlier in the post, we used this craft to decorate goodie bags for Lucy’s Very Hungry Caterpillar themed birthday party. They turned out so cute! 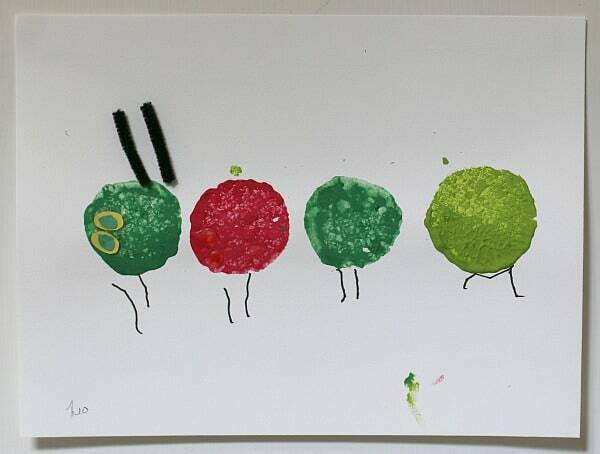 What are some of your favorite Very Hungry Caterpillar activities? What a clever idea, really effective. 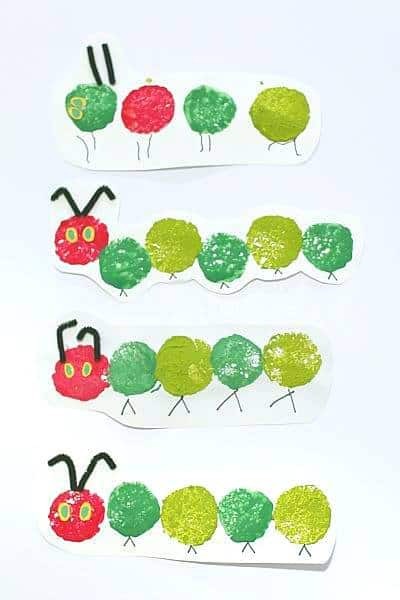 I could do counting by making the caterpillar longer too. 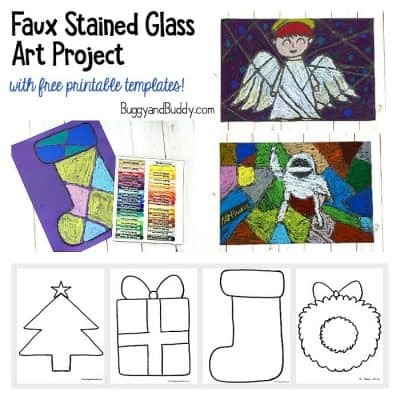 This is an excellent craft idea. 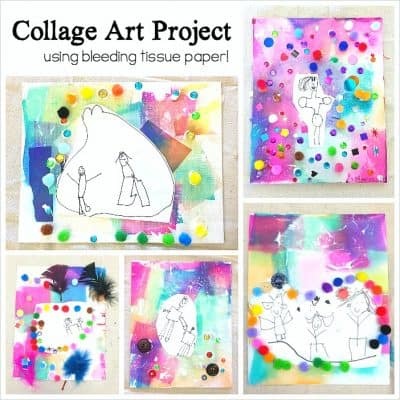 I can’t wait to try it with my younger kids! This is very cute! I love the themed party too! 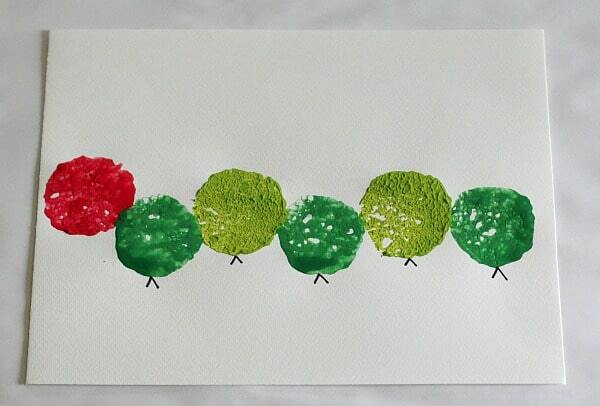 Love, Love The Hungry Caterpillar!! 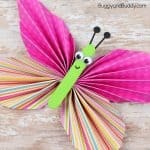 We are definitely doing these this week with our Butterfly unit! 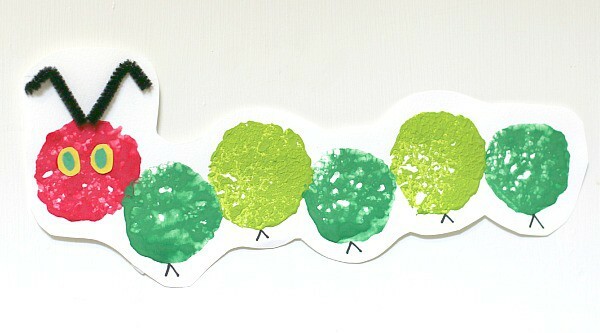 Right now we have two caterpillars as pets and just waiting for them to go through their Life Cycle. 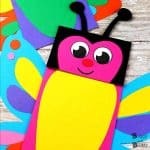 Thank you for stopping by the Thoughtful Spot Weekly Blog Hop and sharing with all of our readers! 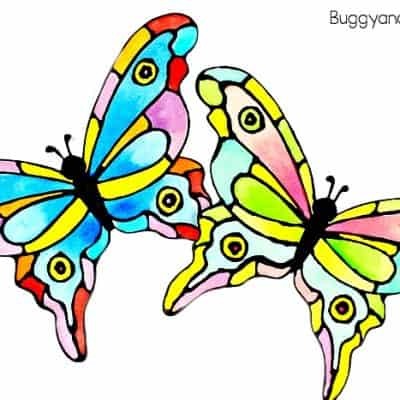 I have featured your post as one of my favorites this week 🙂 Hope you will visit us again each Monday!